Disclosure: This is not a sponsored post. We were sent some Lite Poppers for reviewing purposes. All words and opinions are 100& my own. Innovative, fun and educational toys are something that I am always on the lookout for. Not only during the holiday season but all year round. As a parent one of the things in a toy that will be a plus for me and a definite purchase is when they are educational and can help promote screen-less time. Lite poppers provides exactly that. They are fun building kits that light up. Imagine big lego like pieces, except that these pop, twist and spin as you build your next creation. and base will light up for hours. Valentina loved playing with lite poppers and building a truck. She loved being able to twist the pieces as she built her truck, the best part was seeing her face light up when she saw that it was lighting up. It was definitely a lot of fun playing with lite poppers. Not only did we go without any electronics for a good two hours but we also made fun memories. Now that in my book is worth a lot. Nowadays it can be so hard to get kids away from an iPad or the tv and to be able to do that with a fun toy that helps promote imagination, science, technology, engineering and mathematics is great. Lite poppers are easy to store away and light enough for small hands. They are big enough that I wasn't worried about Valentina putting them in her mouth, but small enough that she can carry around in her pocket if she wanted to play with on the go. She is 2.5 years old and this age is recommended for ages 3 and up, but as with any toy it is always good to keep an eye on them while they play and remind them that it doesn't go in the mouth. Lite poppers is also great for older siblings, my son who is 13 years old loved building with his little sister. All lite popper pieces are compatible, and as you buy kits they can be used to make bigger creations. Each building set comes with a fun character that has it's own backstory from an all new comic book series coming out soon. How cute are these little fellas, Valentina loved her little lite popper buddy and has been carrying him around everywhere. Make sure to have Lite poppers on your shopping list this holiday season and all year round. They will make great presents and little ones will love watching their creations light up. Lite Poppers can be purchased online here. Makes sure to check them out on their Website, Facebook, and Youtube. Also make sure to stay tuned to our Youtube channel for a fun unboxing video and Valentines first impression of Lite Poppers. 17 comments on "Building Fun With Lite Poppers "
What a cute toy! These would be perfect for my young ones. I love that they spark creativity AND play in kids! Those are such cute toys and look so much fun to play with. I bet my kids will love those. 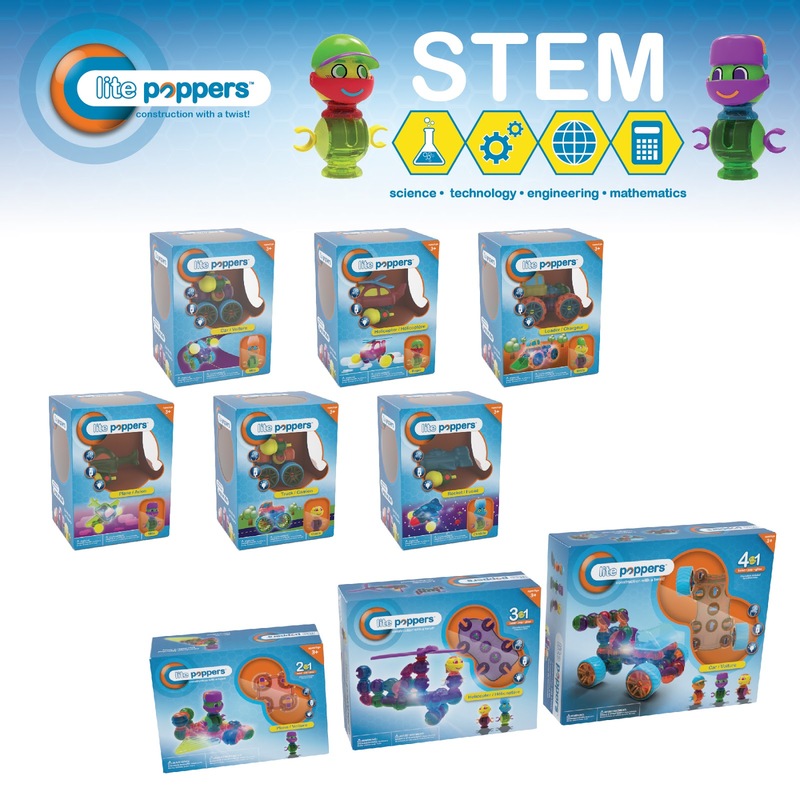 These would be a great intro to STEM gift! I love giving educational toys and will check these out for my list. I love a toy that makes a kid think, process and reason. This toy does it all! How fun! 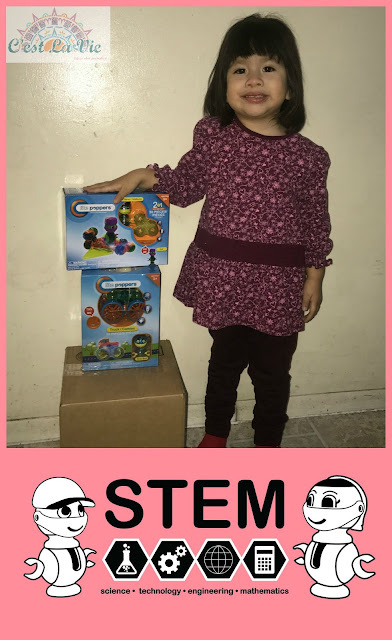 I love stem toys, they are such great learning toys and the best part is the kids don't even know it! Valentina is a beautiful name! I agree that toys that encourage learning are the best. This is definitely a toy buying season. Thanks for the recommendation! Oh those look really cool! I will have to check these out for my kids. It seems like something they would like. What a great STEM gift idea! My kids would love this! It's so great you are getting your daughter into this so young too! What a cute line of toys! I can so see my little lady playing with them. My nephew too for that matter! Oh these look so fun! My kids love building toys so much! They're just a little too to small for legos so these would be the perfect size! This looks like it would be such a great time. My kids would love this! First of all, Valentina is adorable! I love that toys nowadays are innovative and actually provide learning to kids. My nephew is big into tech so I try to get him some STEM related gift every year. I'm hoping he likes my selection this year since it lets you magnify just about everything.